If you’re a woman of sophistication and taste, you’ve probably wished for a more stylish way to carry your guns than traditional holsters. Well, you’re in luck! Here are just four purses that will also double as concealed carry options for firearms. There’s a lot to love about the Natalie. Not only does it offer a “lock and key” mechanism that will secure your gun from snooping outsiders, but it also comes with a matching wallet that can be attached to your wrist with a secure strap. It’s an elite choice for protecting yourself and your belongings while you’re out in the world. Available in red, black, brown and beige, the Ali will sling over your shoulder like a regular cross-body bag. What other people will fail to realize, however, is that your gun will be tucked away inside of its concealed carry compartment. You’ll be able to safely and securely carry your firearm without anyone even knowing that you’re strapped. Isn’t that the dream? 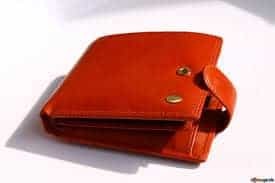 Another “hobo” set that includes a matching wallet, the Jasmine will look gorgeous on your arm while also providing the means to carry a discreet weapon. It even includes multiple zippers on either side of the concealed carry compartment so that left- and right-handed women can utilize it. It’s functional for everyone. This double-strap leather purse is for women who want to be able to carry everything in a single bag, including their gun. It offers an organizer on the front for things like keys and credit cards, and the hidden opening in the back is where you can store your firearm. As a bonus, its beautiful leather exterior will make it a stylish addition to your closet. These are just a few gun concealment purses that are worth the money. Whether you’re looking for an extravagant bag or a simple shoulder accessory, let these purses offer both fashion and function as concealed carry items.